I was honored to recently be interviewed by the remarkable Lisa Frederiksen at BreakingTheCycles.com. Please check out her website and the great work that Lisa is doing. She has published several books, and has established herself as an expert in the field of addiction. 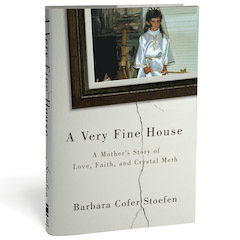 “I recently finished reading Barbara Cofer Stoefen’s book, “A Very Fine House, a Mother’s Story of Love, Faith, and Crystal Meth,” and my first word reaction was, “Wow.” Wow in the way one feels after reading something so powerful, so compelling, one knows it’s going to take a while to let it all sink in. In her book, Barbara captured the roller-coaster ride a person (in her case, a parent) experiences as their loved one’s drug or alcohol use spirals out of control, taking family members and friends along with them. But she also shared something often overlooked: the fight to save oneself and the other non-using family members. In so doing, she finds the wisdom and courage to set boundaries that eventually helped her daughter find recovery. The best part is her daughter, Annie, did find recovery and so did Barbara and their family. With wit, humor, honesty and a compelling writing style, Barbara shares her story of courage, strength and hope, and I am honored to share my interview with her in today’s post. Q. Please set the stage for us by telling a bit about your family in the early days, prior to Annie’s spiral into addiction. I often tell people we were the family this could never happen to. Not because we’re so great, or so special, but because we were a regular family. I thought addiction only happened in what many might call a dysfunctional family… or a bad family. Whatever that is. My husband and I were devoted, attentive parents, and we participated in every aspect of our kids’ lives. Meth addiction? No way. That was never going to happen to us. The four of us did everything together, and my husband and I talked to our kids, Annie and Jeff, about absolutely everything, including drugs. Plus, we knew they were just too smart to even go there. We of course worried about alcohol and driving, alcohol and pregnancy, alcohol and swimming, alcohol and overall recklessness. But not alcoholism. And I rarely worried about marijuana because marijuana’s, well, just not that big a deal… right? Or so I thought. Q. As the saying goes, “hindsight is 20/20.” With that hindsight, please share some of the early signs there was a problem and what you would do differently, now, to confront Annie’s deft deflections regarding the concerns you expressed. I’ve asked myself this questions a zillion times and keep coming back to the same conclusion: We do the best we can with what we know at the time. If I had a do-over though, I would likely let my daughter fall and fail more when she was growing up. I was too quick to help; too quick to rescue. I mistakenly thought that if I modeled everything for her… that is, DID things for her, and TOLD her how to solve problems, she would learn from me. Big mistake. People of course learn by DOING themselves. The net result was a very bright, very capable girl, but with poor coping skills. Some of that was inherently Annie, but I could have done a better job preparing her for the world. In terms of my reaction to the onset of substance issues, I believe I was more ignorant than what we classically refer to as “in denial.” When drinking began to look like a problem, I figured she could/would just stop whenever she wanted/needed to. I didn’t know people her age could be alcoholics. And the many problems she experienced at college I thought were mental health issues (i.e. depression, anxiety). They were in part, but it never occurred to me she had started experimenting with hard drugs. That was just so contrary to who I believed my daughter to be. But when she ultimately told me she’d begun using meth, well, that was a game changer. My husband and I then caught on pretty quickly that we needed an aggressive game plan, and we became relentless with allowing negative consequences. We couldn’t stop her, or change her, but hoped that whatever life dished out would get her attention. Q. You spoke openly of Annie’s addiction and your struggles with your family, friends and community members. Do you think that helped? What were people’s general reactions? Speaking openly with people about what we were facing really saved me. I’m a person who needs to talk and to process stuff, so it felt natural to me. I was also so floored by what we were experiencing, and felt I needed to warn others. It seemed if this could happen to our family, then it could happen to anyone! I know that sounds like a completely “duh” kind of statement, but I really was that clueless about addiction. I don’t remember any judgmental comments from others, and never had the feeling people were talking about our family in a nasty way. We were a nice family and I just assumed people knew that. I may be kidding myself… maybe people were talking behind our backs and I just didn’t know it. But we only received helpful support from family and friends. I did wonder about one person though. There was a woman in our neighborhood who had never really liked me and she didn’t like Annie. You know, the kind of mom who thinks her kids are perfect and she made them that way. I did wonder if she was having a field day with our misfortune. Q. Describe your reasons for and what it was like to call the police on your daughter. Pete and I came home from work one day and found our bedroom had been broken into through a window off the roof. After some investigation, I realized my mother’s pearls were gone, and some cash and a few other pieces of fine jewelry. 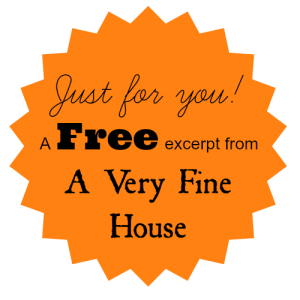 But the rest of the house remained untouched. We knew instantly it must have been Annie, and had actually learned in our support group that her stealing from us could be a possibility. Our instincts as parents is to protect our children, and it’s unlikely my husband and I would have conjured up the courage to call the police about Annie had it not been for the support group. Other parents had told stories of holding their children accountable in this way, so we adopted the idea as a way to intervene. It’s a pretty bold move, and terrifying, but Annie was already involved with the criminal justice system. She’d been in jail before, so the idea of having her there again wasn’t quite as surreal as it may have been otherwise. I’m happy to report that when Annie entered into recovery, she did indeed forgive us. We all forgave each other. Q. I especially loved this sentence, “How do I write a broken heart?” Please share how things were for you and your family at that time. Having a child in the throes of addiction is to experience profound grief. I’ve never lost a child to death, but it comes as close to death as I can imagine. We lose what they used to look like, smell like, we lose their health, we lose their companionship, we lose the pride we once had in them, we lose the very essence of them… because they truly have become someone else. Also, parents are often the target of a great amount of wrath coming from their addicted child, and it often feels we’ve lost their love too. But maybe most important of all is we lose our dreams for our child… our hope for their future. Because we doubt they have a future. And we lose all of these things over and over and over again. It’s like a wound that never heals and continues to split open. So the family lives with daily grief, with daily loss. The family also lives with constant upset because of the havoc someone in the throes of addiction can wreck on others. There’s often middle-of-the-night phone calls, angry rants, demands, interrupted holidays, and of course the criminality that often goes hand and hand with addiction. We were on a first name basis with many police officers and people in the judicial system. Q. You share how helpful the Meth Friends and Family Support Group (MFFSG) was to your and your husband’s recovery. Please described how this group helped and whether they have chapters elsewhere. Our Meth Friends and Family Support Group here in Bend was launched years ago by a nurse who worked at the hospital. Her daughter was in recovery from meth addiction and, frustrated by the lack of resources in our community, she wanted to provide support to others. Different from Al-Anon, which I highly recommend, this group provided more practical support, rather than spiritual self-help. (Both are important.) We talked, shared stories, and had community leaders visit as speakers. We heard from people in law enforcement, the judicial system, parole and probation, the jail, health care providers, and counselors. We became educated on addiction, and the group empowered us to make hard decisions. Interestingly, about 80% of the families represented in that group have loved ones who have sustained long-term recovery. Over time, the group dwindled and there were no newcomers. So we disbanded. But since my book was released, people local to Central Oregon have contacted me and expressed interest in the group. So I started a new one! We’re called LifeRAFT now, and most of the parents who attend have an adult child addicted to either heroin or meth. If your readers want to start a group in their own community, Lisa, anyone can do it. Simply find a public place to meet, and put the word out on social media. I’m happy to offer tips to anyone who wants to contact me. A group in Corvallis, Oregon contacted me and they are launching a RaftRAFT group there! Q. What do you consider the three most important facts about addiction that family members, friends and society in general need to know. 3. Work on their own recovery. The person with the addiction isn’t the only one with problems. Everyone in the family needs to do their own part to heal. This is more critical than most people realize. The best way to help our loved one’s recovery is to recovery ourselves. 2. Withhold judgment. If you don’t have addiction in your family you’re fortunate, not special. 3. Bring casseroles (literally and figuratively). A loved one in jail or treatment is just as unsettling to a family as a loved one in the hospital. 1. Become informed. Addiction is a devastating disease, not a moral failing. 2. Support the movement to treat rather than incarcerate. Putting sick people in jail doesn’t make them better. 3. Vote for leaders who “get it.” It will change the world. Q. You write, “My journey with Annie through her addiction has changed me in almost every way.” Please share what you mean by this sentence. Had my daughter not become addicted to alcohol and other drugs, I would likely still be the entitled, “I’m better than” person I once was. Mind you I was a nice entitled, “I’m better than” person. LOL. But I once thought our nice little family had been my doing, rather than the result of a lot of good fortune. I thought I could control the wind. I thought I could control life. I now know my daughter’s difficulties were not my fault, any more than I can take credit for my son’s achievements. There is much in life I can’t control or change, I can only adjust my sails. My definition of what constitutes a “nice” family and a “nice” life is now much different than it used to be. I’m privileged to now have many “drug addicts” I call friends, and a daughter who has taught me more about life than I have likely taught her. There is wisdom in the recovery community we can all benefit from! I find my judgments are fewer, and my view of the world is broader. I think I love better. My faith is deeper, too, and more about compassion rather than dogma.